Kuwait,, 13th December 2018: Leminar Global, the leading distributor and service provider of HVAC and plumbing products in the GCC, announced that it has taken up the distributorship of Chaysol S.A. in Kuwait. One of Europe’s leading fan manufacturers, Chaysol’s inclusion will bring in more diversity to Leminar’s product offering. 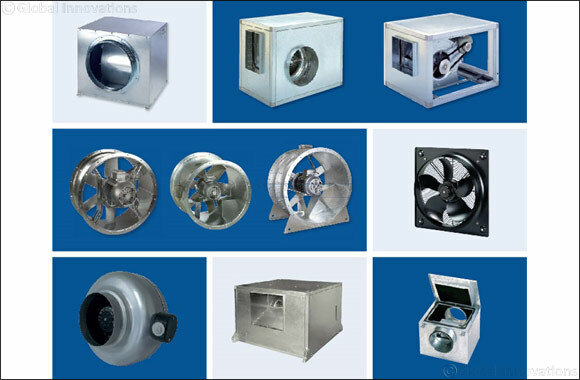 According to the agreement with Chaysol, Leminar will supply about 10 different types of fans including Axial Flow fans, Acoustic Cabinet fans, In Line Duct fans and Domestic fans to name a few. “Our customers will benefit from the reliability and competitiveness of the product range offered by Chaysol. Combined with our application and after-sales support, customers can be assured of great service as well,” added Chaitra Kumar, General Manager - International Operations, Leminar Global. Chaysol products are manufactured at its 17,000 sqm-plant based in Madrid utilising the latest manufacturing technology and highly trained personnel. Leminar currently also represent other HVACR & MEP brands including Georg Fischer, Mueller, NAPCO, Winters, Armacell and Clima Uno to name a few.